World Biking 5 Year Anniversary! All ‘helpful’ road directions should be disregarded unless confirmed by a minimum of three individuals. The world is basically made up of a few bad apples and a lot of incredibly kind individuals. Bicycle touring can be a surprisingly cheap way to see the world. Contrary to what the cable news media would have you believe, you are unlikely to be robbed, killed or kidnapped if you venture beyond the borders of your home country. There’s no need for Americans to slap a Maple Leaf flag on their panniers and claim they come from Vancouver. Locals around the world (and yes, even in the Middle East!) are savvy enough to differentiate between the government and its people. When looking for camping spots, flowers surrounding a home are a clear indication of friendly folks inside. Prevailing winds are a myth. The only prevailing winds you can count on are headwinds. Cyclists always find a safe place to sleep. ALWAYS. If absence makes the heart grow fonder, constant togetherness makes the temper grow shorter. 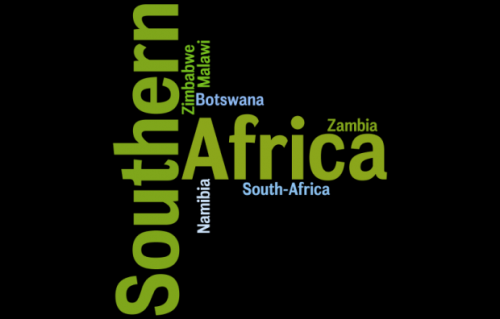 There are a lot of popular myths about Cycling Africa. It’s best to go for yourself and find out the truth about the planet’s most adventurous continent. Local water will rarely make you sick. Drink up, reduce waste, save money. Filter when in doubt. Tires really can blow up. 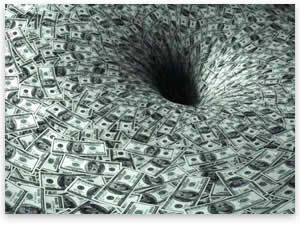 It pays to check regularly for wear and tear. Playing dumb will get you out of a lot of tricky situations. Thanks to Warm Showers, Couchsurfing and discount supermarkets, bicycle touring in Europe and the USA can be as cheap as third world cycling trips. You don’t need to share a common language to communicate with locals. 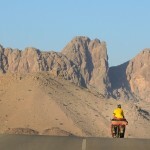 It's unlikely you'll spend many nights in the tent while cycling the Middle East. Middle Easterners are amazingly hospitable. If the Michelin map claims a road is impassable in the rainy season, trust them. 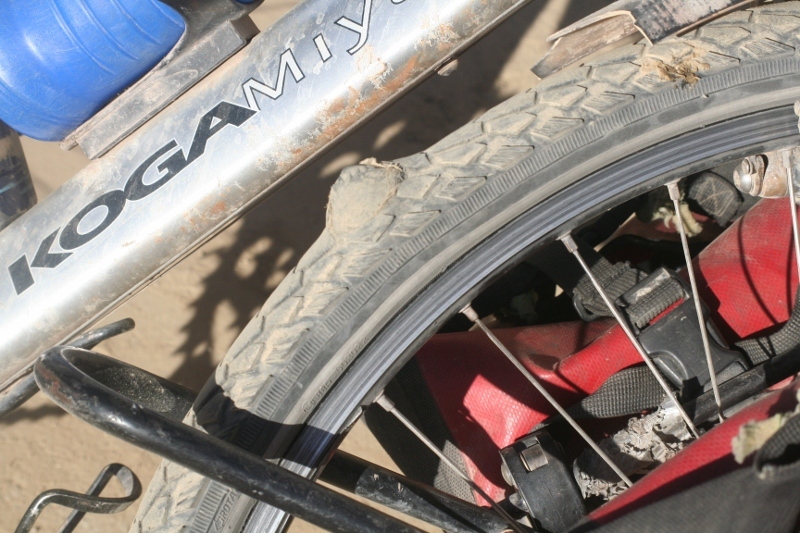 Bus and truck drivers in developing countries have few qualms about flattening cyclists. As soon as that horn starts blasting, it’s best to swallow your pride and dive into the bushes. 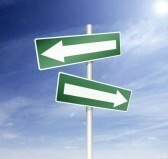 Surprisingly few people can tell their right from their left. When someone tells you to take a right and then points to the left, go left. 3rd world rules and regulations are refreshingly relaxed. If someone in the Andes assures you there are only a few small hills ahead, get ready for some serious climbs. If an African tells you the road ahead is a little rough, get ready to push. If a native of Patagonia warns you of a windy section ahead, get ready to be blown away. Literally. Bad roads make for better memories. Podcasts rock! If you’re worried about brain rot and boredom during a long bicycle tour, just plug into a podcast and get educated and entertained. Pushing your body beyond its (supposed) limit sometimes feels good. It’s better to ride your own ride because there will always be somebody who cycles harder, longer and to places farther off the beaten track. When travelling in developing countries, ear plugs quickly take a spot amongst the most prized possessions. Don’t want to end up in divorce court? Invest in a spacious tent. Computers are not meant to be shared. If you’re travelling as a couple, take two. The evil eye, a few choice insults and a lot of fist shaking will usually keep even the most menacing dogs at bay. If not, a Dog Dazer will definitely do the trick. To the average villager, spandex looks really stupid. Get up early. Nothing beats the simple pleasure of riding along as the sun rises. When all is said and done, kilometers really don’t matter. A break from the bikes is the best cure for bicycle touring burnout. Socks don’t need to be changed daily, but underwear do. Squat toilets are far more hygienic than the sitting variety. Contrary to popular belief, Texas is not inhabited by a bunch of bottle-throwing, cyclist-hating red-necks. Locals are actually quite hospitable. Sleeping under a bridge is preferable to spending a night at one of Spain’s mega campgrounds with their all-night discos. 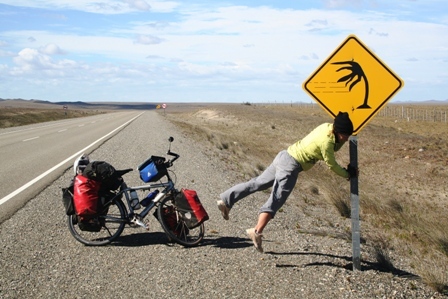 Locals will always warn cyclists of the ‘extreme danger’ in the neighboring country. It’s best to nod, agree and then go anyway. If your raingear is packed at the bottom of your panniers, expect showers. Cyclists generally pack too many clothes and not enough food. If you camp without putting the fly on the tent, it will definitely storm. Even in the Sahara. If you wish hard enough for a cold coke on a deserted road, you just may get one. The best cycling spots are rarely the most popular. If you want real adventure pick a random road and just go for it or follow in the tracks of intrepid cyclists like Cass Gilbert, Peter Gostelow, Tom Allen, Lars Bengtsson, or Harriet and Neil Pike. Taking anti-malarials doesn’t guarantee you won’t get malaria. Malaria is bad, but dengue can be far worse. Watching a bicycle touring video is one of the best ways to re-motivate yourself to get back on the road. Bicycle touring isn’t non-stop fun and adventure. There will be days when you’re bored out of your mind, exhausted beyond belief or just plain fed up with life on the road. Accept this, prepare for this and then you probably won’t quit. Not much fun at the time, but I sure am glad I didn't give up. Family and friends can’t always relate to bicycle touring adventures. 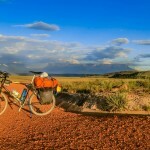 Connecting on-line with fellow cycling enthusiasts who understand perfectly your passion for bicycle touring is a great way to find inspiration and support. Spending less money often leads to a better adventure. Always be suspicious when someone in a motorized vehicle tells you the town you’re shooting for ‘isn’t far.’ You’re probably in for several more hours of cycling. Food always tastes better after a hard day’s ride. Koga bicycles are practically indestructible but definitely not theft-proof. Flexibility is key to a successful long distance bicycle tour. You have to know when to change course and when to stick it out. Most fear-mongers have never set foot outside their home country. Let their rants run in one ear and out the other. 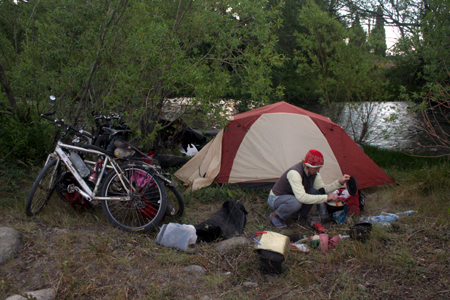 Wild camping is one of the best parts of bicycle touring. Wild camping in Patagonia..life just doesn't get any better. Almost no one ever regrets setting off on a bicycle adventure. As they say, the best day in the office is never as good as the worst day cycling. 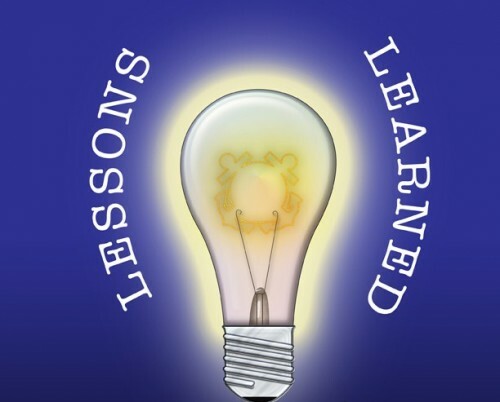 What a great list of lessons. After a year cycling through Africa, getting through the usual illnesses and a small number of bad moments, I learnt to that slow travel on a bicycle is better than fast travel on a jet. That journey has been a big part of my life since. The only thing that was a challenge was the occasional headwind! I absolutely agree with numbers 2, 4, and 5. We Americans need to get out and explore the world more and by bicycle is the best way to do it. I’ve only biked in Asia but my advice to anyone who’s sitting on the fence about a bicycle tour abroad is just go ahead and do it. You won’t regret it. “All travel is dull exactly in proportion to its rapidity.” “Tis true. This quote is taken from an article about the 3,000 mile urban trail running from Maine to Florida (http://articles.philly.com/2011-06-05/news/29623402_1_east-coast-greenway-alliance-pennsylvania-greenway-schuylkill-river-trail). Admittedly, the would be too tame for you and Eric, but it does open some possibilities for people like me who enjoy the comforts of a hotel from time-to-time. Enjoy your break from touring the far corners. Great quote! Thanks for sharing this information, Randy. There are so many amazing places to ride. Just to get a good taste of the US would take years. It’s wonderful that you are able to support your son’s adventure in spite of some personal qualms. Knowing family and friends are behind you makes all the difference.